California's new gas tax went into effect November 1. That means most drivers will pay 12 cents more per gallon of gas, diesel increases 20 cents a gallon. Starting January 1, you'll be charged a new annual vehicle fee ranging from $25 to $175, depending on the value of your car. The gas tax increase ushers in a 10-year program to raise more than $52 billion for transportation projects, like repairing roads and improving traffic congestion across the state. Will that money be spent wisely? Governor Jerry Brown fought hard to get the gas tax (officially known as Senate Bill 1) passed last April, saying "real money" is needed to fix California's aging transportation systems. But Republican lawmakers are skeptical that the gas tax is the best way to handle road repairs, saying taxpayers already pay plenty for them, money is available from the state's general fund, and Brown should scrap his multibillion-dollar bullet train project. Now they're actively working to put a repeal-the-gas-tax measure on the November 2018 ballot. And they say that because polling on the gas tax shows it to be extremely unpopular, there's an excellent chance it will be repealed a year from now. In this new edition of "Policy and a Pint," we discuss the gas tax and what it consists of, where the money goes, why it's a good thing, why it's a bad thing -- and how it affects you as a California driver, taxpayer and maybe even as a voter in November. PANELISTS * Brian Annis, Undersecretary of the California State Transportation Agency (they oversee big transportation agencies like Catrans and the DMV * Katy Grimes, president of the Sacramento Taxpayers Association (one of the groups that's against the gas tax) * Michael Quigley, executive director of the California Jobs Alliance (one of the business associations that supports the gas tax) PODCAST TIMEFRAME * O to 7 minutes - Intro to California Groundbreakers, and why we're talking about the Gas Tax * 7 min - Panelists introduce themselves, and share their favorite road trips * 11:45 min - The Legislature passed Senate Bill 1, a.k.a. 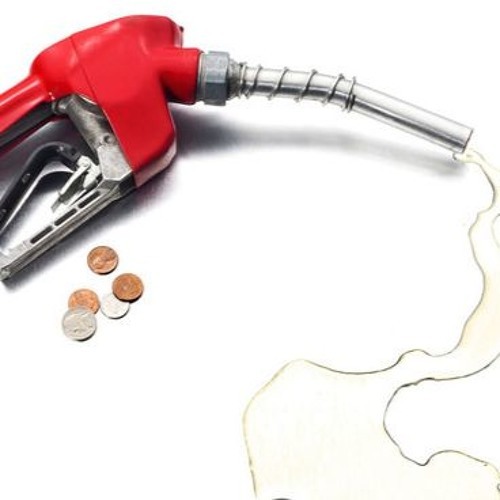 the Gas Tax, in April - what it is, what's designed to do, and what we're paying more for * 18:30 min - Why most business and trade groups, which typically hate new taxes, are supporting the Gas Tax * 23:35 min - Reasons why the Gas Tax shouldn't have passed, and alternatives for funding transportation repairs * 30:55 min - What is Caltrans specifically going to spend Gas Tax money on, and how will it ensure work is done on time and on schedule? * 36: 25 min - Other U.S. states that are good models of transportation spending and investing * 43:20 - How the Gas Tax will affect cycling and public transit projects * 47:10 min - Predicting the future of transportation in California - what should it look like? And where does high-speed rail fit into that? * 53:35 min - The earmarks and deals that had to be done to get Senate Bill 1 passed - will they help or hinder California as a whole? * 57:10 min - How will Senate Bill 1 expand transit and road capacity? * 1 hour, 2 min - If the Gas Tax isn't there to pay for our roads and transit, then who's supposed to pay for it? * 1 hr, 6:30 min - What's being done to make Caltrans and transportation projects more efficient? * 1 hr, 11:15 min - Republicans' efforts are planning to put a repeal of the Gas Tax on the Election 2018 ballot * 1 hr, 13:10 min - If there is a "repeal the Gas Tax" initiative on the ballot next year, what should we consider as voters when deciding whether it stays or goes?